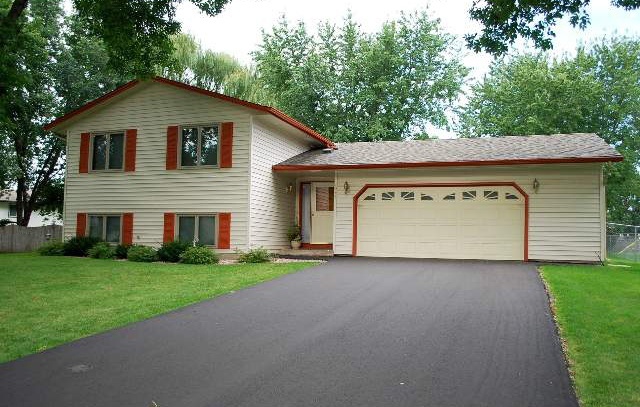 This single-family home is located at 2092 Cliffview Drive in Eagan, MN. 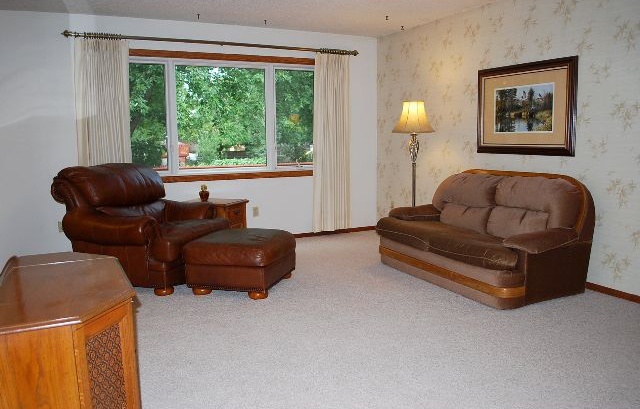 This split-level home was built in 1981. It has 3 bedrooms, 2 bathrooms, and 1,600-square-feet of space. This beautifully updated home features newer furnace, air-to-air exchanger, water heater, roof, siding, windows & a new driveway. 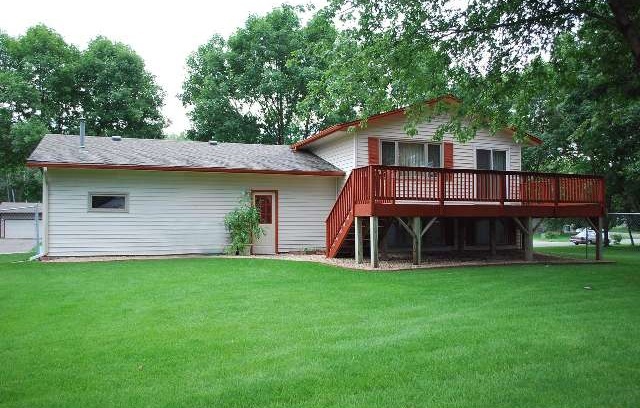 Located on a large lot, this property has plenty of room for both adults and children to play. The 2+ car heated garage has room for everyone's toys! This house could be yours for $199,900! Outside Online recently named Minneapolis as one of the top ten best cities in America. Minneapolis' affordability, education, and diversified economy helped secure it the No. 8 spot in 'America's Best Cities' for 2009. Outside Online, an online magazine that discusses health and fitness, adventure travel, gear and culture, recently used public data to compare 100 of the United States' most populated cities on a variety of topics. The categories included cost of living, commute time, unemployment, nightlife, and "access to green spaces." The magazine then took the top 28 choices and further ranked college education population, income level, home prices, weather, and recreation. Further, the magazine factored in such subjects as art, entertainment, and food. After all of that research, Outside Online decided that Minneapolis ranked 8th out of the 100 surveyed cities. Past national studies have ranked Minnesota's family livability, kids' well-being, safety, environmental concern, and over-all quality of life higher than many larger cities in the country. Read the full Outside Online article. An incredible piece of Minnesota architectural history has just hit the real estate market in Red Wing: The E.S. Hoyt House. This extraordinary home was designed by Minneapolis-based architecture firm of Purcell & Elmslie and the Barker & Hedges Team with Re/Max Results has been chosen to market this fantastic property. Located at 300 Hill Street in Red Wing, Minnesota, it was built in 1913 for E.S. Hoyt, who was president of the famous Red Wing Stoneware Company. It has been listed on the National Register of Historic Places since the 1970s. Many beautiful homes have been preserved in Red Wing, but the Prairie School style Hoyt House stands out from the crowd of Second Empire, Italianate, Gothic and Greek revivals found in this Mississippi River town. With its distinct T-shape, low hipped roof, and deep eaves, this nearly century-old house still has a modern appearance. The exterior is a bright red color scheme, with brick on the bottom level and red stucco on the top. 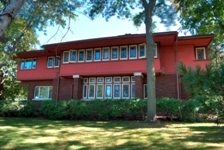 Mortar lines, wide bands of color, and rows of art glass windows accentuate the distinctly horizontal characteristics of this Prairie School style home. The house was designed by William Gray Purcell and George Grant Elmslie, the namesakes of the architectural practice most widely recognized as Purcell & Elmslie (P&E). P&E was the architecture firm second most commissioned to construct Prairie School style buildings, with the first being Frank Lloyd Wright himself. This isn’t surprising, as Elmslie had actually worked alongside Wright for several years before joining P&E. When P&E dissolved in 1921, it had offices in Chicago, Philadelphia, and Minneapolis. The Parade of Homes will mark its 62nd fall event during its run from September 11 through October 3. The Parade this year will feature about 330 Twin Cities homes in 80 metro region communities that range in price from $144,900 to $3,485,000. The Parade of Homes is a resource for Minnesotans to see hundreds of new homes. The Parade was designed to encourage prospective home buyers to compare styles, locations, construction techniques and materials. It also helps people to find ideas and inspiration. Parade of Homes visitors can also attend more than 40 informative events. The new Showroom Tour includes 15 stops with the latest and greatest in appliances, cabinetry, bath fixtures, flooring, stone and landscaping products. Additionally, 29 local restaurants are featured on the Parade of Homes Restaurant Tour, each offering discount coupons for Parade participants. The Parade of Homes Remodelers Showcase will be open the final three days of the fall tour, Oct. 1-3. With 74 remodeled homes featured, there’s even more opportunity to explore.